WJ Front Brake kit/Rear Pads & Rotors. Akebono version fits 5/11/02-2004 Grand Cherokee with new style calipers and the 1999-5/10/02 Grand Cherokee if the calipers must have been upgraded to '03-'04 style (Akebono). Continental Teves version fits 1999-5/10/02 with the old style calipers. 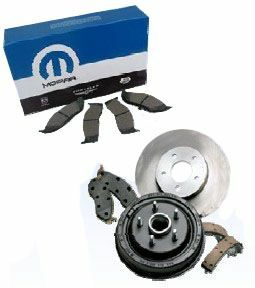 Great Brakes with Great Price!